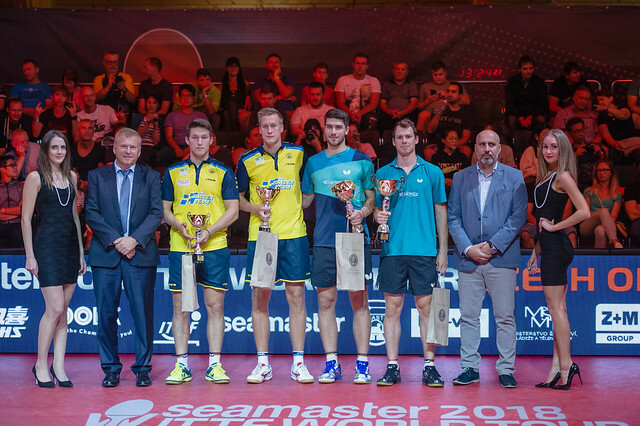 The Men's Singles event at the Czech Open has witnessed a major shock, as Kazakhstan's Kirill Gerassimenko has eliminated the number one seed Kenta Matsudaira in a marathon seven game thriller. Gerassimenko (aged 19) is currently ranked 171st in the world, but rankings don’t decide Table Tennis matches, a theory the Kazakhstan player proved when he beat Japan’s Matsudaira (26th) in the Czech Republic. Matsudaira’s form had looked slightly shaky heading into the tie with Gerassimenko, with the number one seed dropping five ends across his opening two matches against Pang Wang-Wei (Chinese Taipei) and Andrew Baggaley (England). Still the Japanese competitor could not have anticipated exiting the tournament before the quarter-finals stage, but that’s exactly what happened in Olomouc. The opening three games were tight and it was Gerassimenko who took the early initiative, moving 1-2 in front. Matsudaira and Gerassimenko then exchanged alternating wins over the next three games to force the match into a deciding game. Very little separated the two rivals, but Gerassimenko had enough left in the tank for one last flurry, putting his name into the last eight (14-12, 9-11, 11-9, 6-11, 11-7, 5-11, 11-9). “It was a very good match from my side and to be in the quarter-final is the biggest result of my career so far. We had a long talk about the tactics with my coach. I knew he had a very fast game and good service. But I feel good and comfortable in a fast rallies so I like to play this way. That was the most important. After winning the first set I started to believe that I can win.” – Kirill Gerassimenko (Kazakhstan). Next up for Gerassimenko is another Japanese opponent, Yuto Muramatsu as the hunt for silverware continues at the 2016 Czech Open.